Philadelphia District Attorney R. Seth Williams was scheduled for a deposition at 1 p.m. Monday in a defamation case filed against him by Police Officer Linwood Norman. But yesterday in Common Pleas Discovery Court, Judge Idee C. Fox canceled the deposition because she claimed that the plaintiff's lawyer, Christopher D. Mannix, should have filed an order for pre-complaint discovery. Mannix maintained that no such order was required, but the judge overruled him. The issue of the D.A. 's deposition, however, is far from settled because Judge Fox declined to enter a protective order sought by the D.A. 's office to prevent a future deposition of Williams. "The D.A. is unavailable on Sept. 14, and given his understandably busy schedule, he is unlikely to be available for a deposition at any point prior to the date on which Norman's complaint is due," wrote Assistant District Attorney Michael Scalera in a motion for a protective order filed Sept. 10. In the motion, Scalera asserted that a protective order was needed to prevent "a busy public official" from "the annoyance, oppression and burden of submitting to a deposition based on nothing more than Norman's unfounded suspicion that the D.A. might have said something actionable about him at some point." Linwood's libel and defamation claim grew out of the so-called rogue cops case that charged Linwood and five other members of the Narcotics Field Unit with routinely robbing and beating drug dealers they arrested. A jury, however, handed the feds a crushing defea by finding all six narcotics officers not guilty on all 47 counts in the highly-publicized RICO case. Linwood's libel and defamation claim was filed in July in Common Pleas Court against three defendants: the district attorney, Police Commissioner Charles Ramsey, and Mayor Michael Nutter. Norman's suit followed an amended defamation claim filed in federal court against the same three city officials on behalf of Officers Michael Spicer, Brian Reynolds, Perry Betts, John Speiser and Thomas Liciardello, as well as the group's former supervisor, Lt. Robert Otto. Mannix has said previously that the two defamation cases would probably be consolidated into one case in federal court. After they won their jobs back, the officers filed their defamation suit. The officers claimed they were defamed at a July 31, 2014 press conference held by Police Commissioner Ramsey and Mayor Nutter to discuss the indictment of the narcs. At the press conference, Mayor Nutter called the officers "sick scumbags" and Police Commissioner Ramsey pledged to destroy their badges. D.A. Williams was sued for defamation because he sent a letter to the police commissioner in 2012 announcing that his office would no longer prosecute any cases brought by Officers Spicer, Reynolds, Betts, Speiser, Liciardello and Otto. The D.A. 's letter, however, didn't mention Norman. Whatever else the district attorney might have said that was defamatory about Norman was not mentioned in the writ of summons, which may explain why Mannix wanted to take the D.A. 's deposition. The D.A. 's office has also been busy fighting the defamation case in federal court, as has a city lawyer on behalf of the mayor and police commissioner. But on Sept. 3, Judge Paul S. Diamond granted the plaintiffs' request to file a second amended complaint by Oct. 2. The judge also dismissed without prejudice motions from all three defendants to dismiss the case. "Pre-complaint discovery". That's a new one. Why would anyone show up for a deposition prior to a complaint being filed? 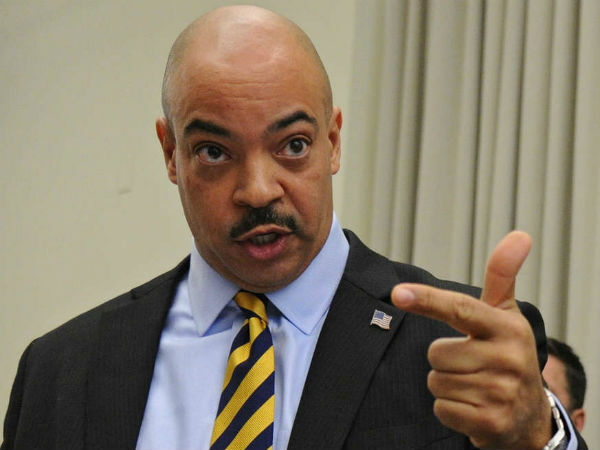 Seth Williams is not the average putty cat. If you are going to take him on you better do your homework. Most likely, the city will settle fast with the officers before this gets to trial or even deposition. As for drug cases dropped due to questionable police practices that led to the officers subsequent arrest, indictment and eventual acquittal, that is normal police procedure to do as when you arrest, you have to do your job right, cross your t's and dot your i's. No other way.